The emergence of the smart grid over traditional electrical networks poses several challenges, most notable is the increased variability of both supply and demand. 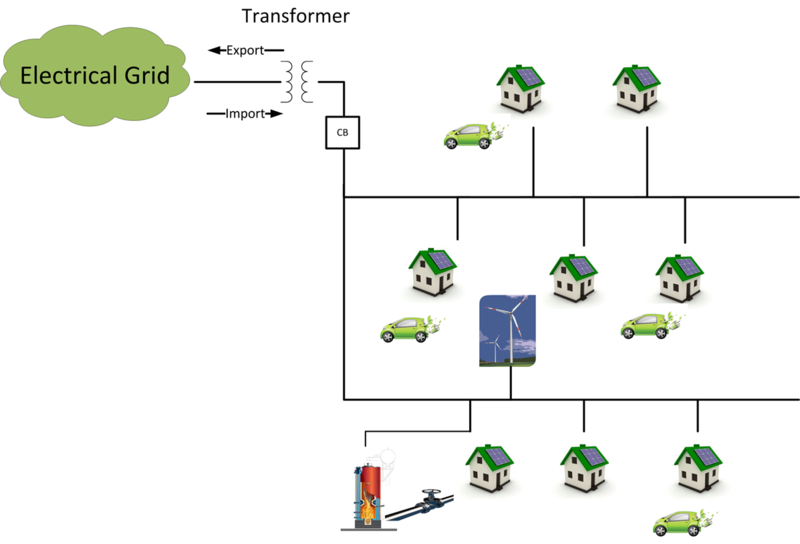 Integrating renewable sources and storage facilities together with increasing autonomy of microgrids and virtual power plants, mean electrical supply can respond to demand at a much finer granularity than was previously feasible. Devices like Electric Vehicles can alter when they charge, to only do so when there is a surplus of power. This means that a some electricity demand can react to supply. By accurately predicting the demand that does not react, supply and demand can be matched, so that less electricity is wasted, which reduces costs for the user as well as for the supplier. Electricity load forecast is essential in large scale generator scheduling and is used at national and municipal level (millions/hundreds of thousands of households). It depends on previous usage patterns, weather, holidays, special events. It is often done using artificial neural networks, fuzzy logic, statistical regression or a combination of these. Most research is focused on load forcasting at a large scale (across the whole grid), where very good results are achieved: 1%-2% error. Forecasts on small scales are less accurate, with errors ranging from 5.15% up to 13.8%. These errors are most likely due to the heavier impact of single users, which results in more noise. Applications at small scale require high accuracy when optimizing the energy usage, defining the autonomy period for a microgrid while in islanding mode, or enabling better use of the available renewable sources. Our aim is to reach an improved level of accuracy in order to enable such applications at small-scale. Several forecasting methods were evaluated, each of which performed well under certain circumstances and poorly under other sets of conditions. To overcome the drawbacks of each method a hybrid system was developed. The hybrid system chooses the best performing method over each of 24 hours. This approach improved day-ahead demand forecasts. The methods considered were: Artificial Neural Networks (ANN); Wavelet Neural Networks (WNN); Statistical Regression (AR, ARMA, ARIMA) and Neuro-Fuzzy Networks (NF). These were evaluated in 2 scenarios, one with 90 houses and another with 230 houses ( both are several orders of magnitude smaller than the level a typical large scale forecasting algorithm operates at). Initial results of each individual method over 24 hours, 30 days mean (230 houses case). Forecasting over 3 consecutive days vs. real load. Hybrid results after 4 weeks of training. Better accuracy was obtained by the hybrid method when compared to each individual method. The results of 2.39% normalized root mean square error suggests our approach is a suitable forecasting method for microgrid applications.